I used to love making 3D nets at school (it’s the only bit of maths I actually enjoyed). I’ve been thinking for a long time they would look great with faces on. 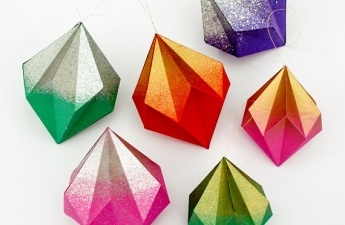 You can make a garland or mobile with them. You can sit a few on your desk to keep you company. 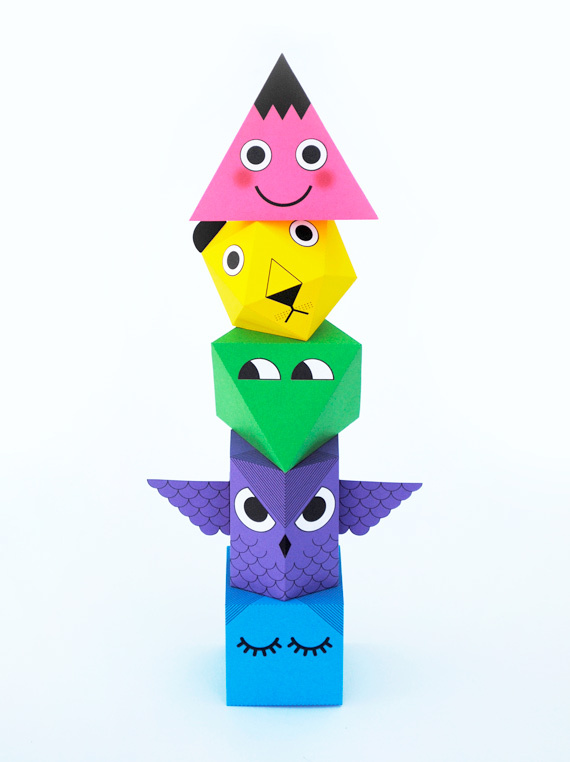 Or you can pile them high…totem style! The lion is my favorite! Click link below to read full post and download printable templates. Oh, and if you want plain templates then click here! 1. Print out the your character (pdf’s at bottom of post). Set your printing preferences to ‘photo’ and ‘grayscale’. Cut around the outside of your character. 2. Score along the dotted lines using a ruler and pointy object (such as compass or needle). Fold along each of these lines. 3. Glue your model together flap by flap. I use ‘bostick glue and fix’ for all my paper projects nowadays. Its a bit smelly and can come out of the tube very quickly so not recommended for kids. 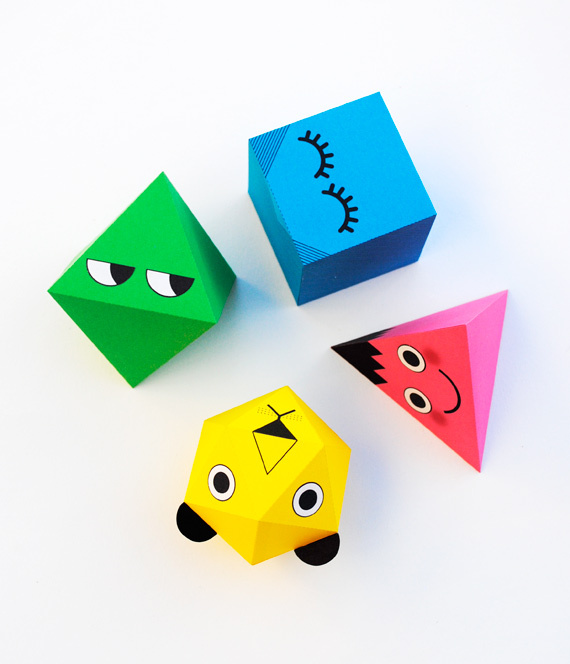 If kids are making these models then a standard glue stick will do the job well. 4. 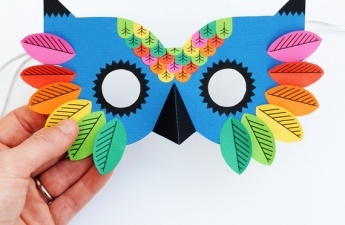 Print out the eyes, cut out and glue onto your model. They are sooooo cute ! I keep this idea for my kids ( 2nd graders) when we get back to school in September , they’ll sure like it ! Thanx ! Thank you for share I love it soo much and God bless you. These are so cute, thanks for the smiles! I would kill you!!! I MUST do them, but I have to order my house… I think the mess will last… Thank you thank you thank you… TOO NICE!!! Haha…..too funny! My house looks very messy too (that’s why i never put pictures of my house on this blog – very uninspiring). You sound like a cool teacher Sarah! 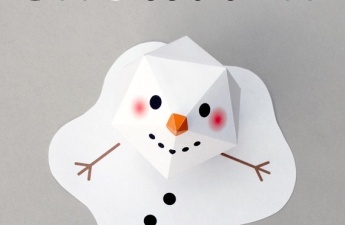 We used to make ours out of plain white card…still enjoyed it though (from what i can remember – ha). you come up with. Thanks so much for sharing with us. I am homeschooling my granddaughter we are raising and about to start 1st grade. 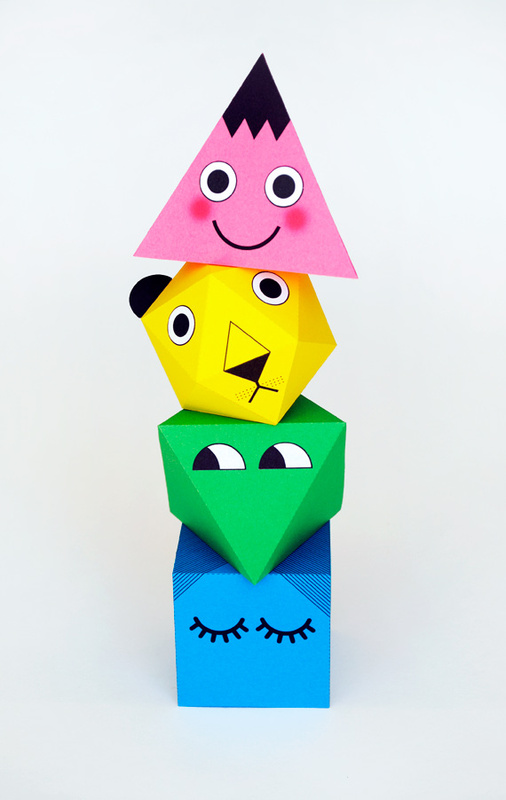 I’m usually a silent reader of your blog but today I just have to let you know that I reaaaally LOVE these totem characters! Thank you so much!! I often print out your activities and create them with my wonderful niece. She’s a great little crafter like I used to be! I’m sure these will be her new favourite. I’m going to print a set on coloured paper but also print a set on white because I know she’d love to colour-in and/or create her own designs! 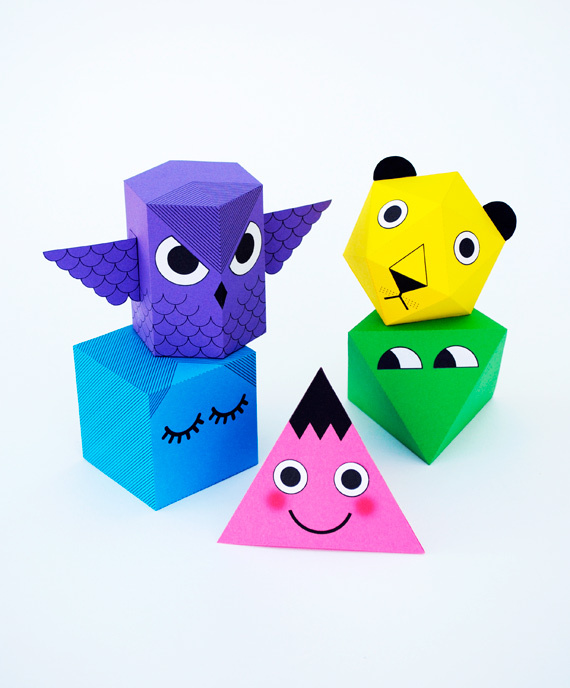 cute , love it, the idea of making of the shapes a totem is briliant. well done!!! Thank you! I love it!! I can t wait to try it! How sweet they are! 🙂 Thank you for sharing. 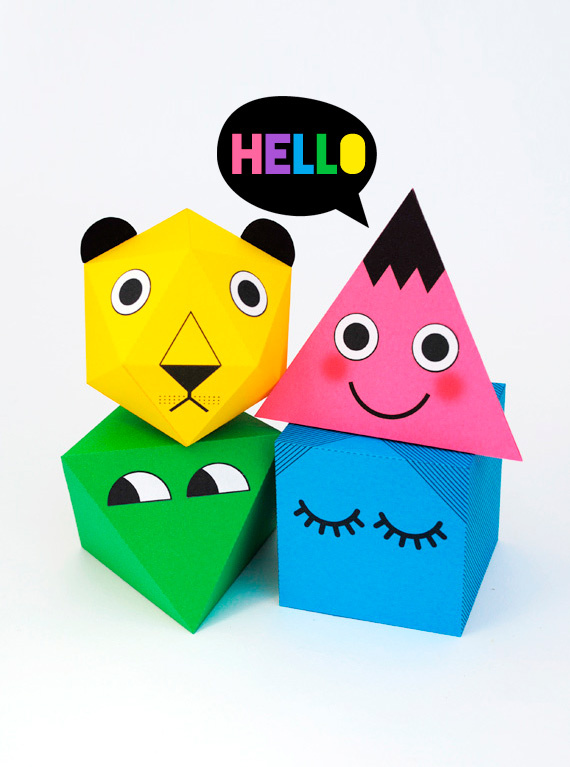 Very cute toys ;)! I think it isn’t so hard to do! I need it to try it 😉 Thanks for share and inspiration ;)! i’m 13 and i love making my room bright and fun. these were a brilliant addition. i think i might make a garland out of some! Thank you ! There so cute ! These are so cute and easy!! I can’t wait until I make one for my brother! It’s his birthday. Oh and thanks for the tutorial!!! I just tried to make Character 3 and I feel very satisfied. Thank you alot! You really inspired me! thanks for information. I hope you will give us some information other. Very creative and perfect quality time spent with my kid!